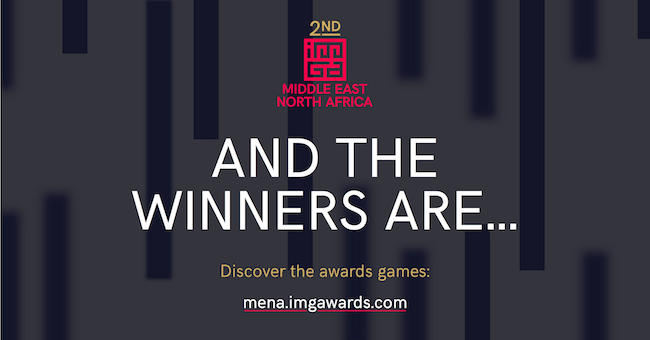 IMGA → Connect → News → Industry → IMGA MENA Winners Unveiled! We unveiled today the winning games and developers of our second edition in Middle East North Africa. The awarding ceremony took place at the King Hussein Business Park in Amman on November 11 and was held on the fringe of the seventh annual Jordan Gaming Summit, where 700 games industry experts met in Amman, bringing their shared knowledge for the benefit of the games sector in Jordan and the region. In July 2016, IMGA MENA was launched in collaboration with Zain, the leading mobile and data services operator with a commercial footprint in eight Middle Eastern and African countries, and with Maysalward, the leader of mobile games development in the region. Awarded games were chosen by a jury of top industry experts and journalists, who selected the winners from a shortlist of 52 nominees. Studios and developers from nine nations (Jordan, Palestinian Territories, Iran, Tunisia, United Arab Emirates, Lebanon, Kuwait, Egypt and Bahrain) submitted nominations for the second edition IMGA in MENA. Awarded games will automatically have a chance to win another prize during the 14th IMGA Global edition in San Francisco in March 2018.